Passwords are the keys to online accounts. A good password known only to account owners can ensure email, social media accounts, bank accounts, etc. stay accessible only to the person (or people) that need them. But a bad password will do little to prevent people from getting access to those accounts, and can expose you to serious security risks (such as identity theft). And sadly, many people continue to recycle easy to guess/crack passwords. 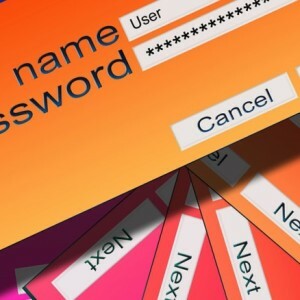 A recent study conducted by researchers from Google attempted to nail down the most common pieces of advice and practices recommended by security researchers, and unsurprisingly, several of them had to do with passwords. And there were several gaps between what security experts recommend people do when creating passwords, and what actually happens. Here are three expert tips to help you use passwords to keep your accounts safe and secure. One thing experts recommend doing is to choose a strong and unique password – advice many people hear but few actually follow. Chances are, if your password is on this computer science professor’s dress, it’s not keeping your accounts particularly secure. Many major online service providers automatically force you to choose a password that follows certain guidelines (such as length and character combinations), and even provide you feedback on the password’s strength. But security researchers such as F-Secure Security Advisor Sean Sullivan say that, while strong passwords are important, the value of choosing unique passwords is an equally important part of securing your account. Basically, using unique passwords means you shouldn’t recycle the same password for use with several different accounts, or even slight variations of the same word or phrase. Google likens that to having one key for all the doors in your house, as well as your car and office. Each service should get its own password. That way, one compromised account won’t give someone else the keys to everything you do online. A strong password will be long, use combinations of upper-case and lower-case letters, numbers, and symbols. The password should also be a term or phrase that is personal to you – and not a phrase or slogan familiar to the general public, or something people that know you could easily guess. But there are still many ways to compromise these passwords, as proven by The Great Politician Hack. So using unique passwords prevents criminals, spies, etc. from using one compromised password to access several different services. Sullivan says choosing strong and unique passwords for critical accounts – such as online banking, work related email or social media accounts, or cloud storage services containing personal documents – is a vital part of having good account security. One study showed that the average Internet user has 26 different online accounts. Assuming you’re choosing unique passwords, and you fit the bill of an “average Internet user”, you’ll find yourself with a large number of passwords. You’ve now made your account so safe and secure that you can’t even use it! That’s why experts recommend using a password manager. Password managers can help people maintain strong account security by letting them choose strong and unique passwords for each account, and store them securely so that they’re centralized and accessible. Keeping 26 or more online accounts secure with strong and unique passwords known only to you is what password managers do to keep your data safe, which is why 73% of experts that took part in Google’s study use them, compared to just 24% of non-experts. Another great way to secure accounts is to activate two-factor authentication whenever it’s made available. Two-factor (or multi-factor) authentication essentially uses two different methods to verify the identity of a particular account holder. An example of this would be protecting your account with a password, but also having your phone number registered as a back-up, so any kind of password reset done on the account makes use of your phone to verify you are who you say you are. While the availability of this option may be limited, security experts recommend taking advantage of it whenever you can. You can find a list of some popular services that use two-factor authentication here, as well as some other great tips for using passwords to keep your online accounts secure. We write about our real-life experiences and try to give you helpful tips on security issues whether it be safe online shopping, ensuring that you don’t lose precious digital photos or making sure your kids don’t get exposed to inappropriate content. We are F-Secure, a company with over 20 years experience in Internet security and also a TDS partner. Visit F-Secure’s Safe & Savvy blog.